Rachel Nichols is among the few adroit female sportscasters who has managed to carve a niche for herself in the world of sports journalism. She is quite known for her unique style of grilling her guests with hard questions during the popular CNN show called Unguarded with Rachel Nichols. On the show, the brilliant TV host has interviewed a good number of famous sports personalities such as Floyd Mayweather Jr and LeBron James. Nichols is currently working with ESPN as a sports reporter and TV host. As a result of her impeccable work ethics and spontaneous style of carrying out interviews, she is widely acclaimed, clinching a 2014 Red Smith Award and being named by Esquire among the Women We Love in 2005. More background details about the adroit journalist below. The TV personality was born as Rachel Michele Alexander on 18th October 1973 in Phoenix, Arizona, United States. She is the only daughter of her parents Jane Alexander and Ronald Jacobs and she was brought up in a Jewish family. Rachel Nichols is a holder of American nationality and belongs to the white ethnic group. As per her educational accomplishments, the multi-talented reporter is a graduate of Winston Churchill High School located in Potomac, Maryland. Soon after her graduation from high school, she was enlisted into the Medill School of Journalism at Northwestern University where she graduated with a degree in journalism in the year 1995. Following her graduation, she got her career in journalism started by landing a job at Fort Lauderdale Sun-Sentinel in 1995. After working as a reporter in the publication for a year, she left the company for Washington Post news agency where she also served as a reporter covering the NHL’s Washington Capitals from 1996 to 2004. Rachel Nichols is yet to feature in any movies, though sometimes, she has been mistaken for her namesake Rachel Nichols who is a famous actress with many films and series under her belt. The talented journalist has, however, hosted many TV shows in her career. She started by having her first stint with ESPN in February 2004. She worked as a coverage reporter for breaking news and notable events in New York City. In addition, she frequently appeared in several ESPN shows including Monday Night Countdown, the popular SportsCenter and not forgetting Sunday NFL Countdown. She was also a steady fellow of the NFL and NBA sports coverage. Furthermore, the famous TV personality was signed by CNN International in October 2013 and became the host of Unguarded with Rachel Nichols. The show was globally acclaimed and gained wide popularity as a result of the manner she grills prominent sports personalities with her questions. Famous athletes who have graced the show include Roger Goodell, Floyd Mayweather Jr, LeBron James, among others. Later on, in 2016, Nichols had her second stint with the giant sports agency ESPN Network as a Los Angeles reporter. Currently, she is the host of the weekday’s program titled, The Jump. More so, she has featured on sports programs such as NFL Countdown and Outside the Lines along with her immense contribution on the ESPN SportsCenter. Since 2016, the renowned reporter has become a regular guest host on Pardon My Take and Pardon the Interruption podcast and television program. 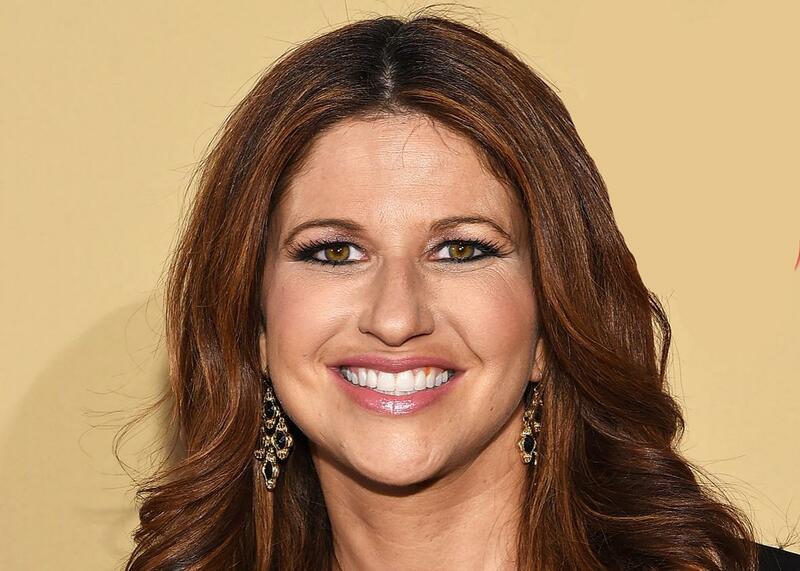 Rachel is now ranked among the best female sportscasters in the ESPN network. Following her extraordinary reporting skills and unique style of interviewing her guests, Rachel Nichols has gone ahead to clinch several accolades in her career as a professional journalist – they include a 2014 Red Smith Award, the country’s Most Impactful Female Sports Journalist by Sports Illustrated, Women We Love by Esquire, the Hollywood’s Reporters 10 Most Powerful Voices in Sports Media among others. The renowned reporter first met her husband Max Nichols at a youth summer camp when they were youngsters. The pair started dating immediately after her graduation from the university. They courted for many years before solemnizing the union in a Jewish wedding at Venice in May 2001. Almost soon afterwards, the union was blessed with twin girls. Her husband, Max Nichols is the son of an eminent stage and movie director, Mike Nichols and wife Annabel Davis. Max is a widely known actor, movie director and music video director.